The project consisted of a six to ten storey mixed use development comprising five separate blocks, each with post tensioned concrete upper floors, basement car parking below courtyard transfer slabs on an extremely tight city centre site in the east end of London. 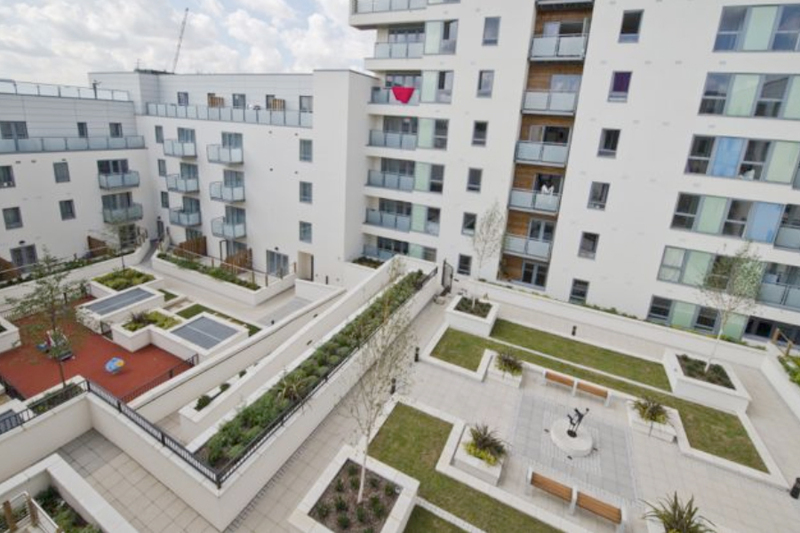 The finished development provided 208 units on the upper floors and four retail units at ground level. Fairhurst provided Civil and Structural Engineering Design services from Competitive Tender stage to construction. This encompassed all aspects of the design for the Retail spaces at ground level, the variety of flat and maisonette accommodation on the upper floors with external roof planting and the design and waterproofing of the basement level car park and store rooms. The scheme layout required a series of transfer structures at different levels to provide the necessary level of accommodation. We initiated the concept of post-tensioning the upper floors to give a competitive edge to our Design Build Contractor Client at Tender Stage. They successfully won the tender and following a long period of Planning, the scheme has now been successfully completed.